Choubey worked as advisor in telecom regulator Trai between 2006 and 2009 when Misra was the chairman. Choubey will replace 1983 batch Uttarakhand cadre IAS Shatrughna Singh who was an influential officer in Manmohan Singh’s PMO. Singh has now been transferred to department of industrial policy and promotion (DIPP). 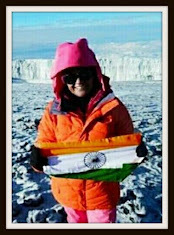 Choubey, originally hailing from Bihar, is post graduates in physics and economic social planning. During the NDA regime, he was first appointed as director and then joint secretary in the ministry of finance. Between 2010 and 2012, he became Development Commissioner (Handlooms) under the textile ministry. In the next two years, he became Director General of Directorate General of Hydrocarbons under the ministry of petroleum before joining as additional secretary in February, 2014, as additional secretary in the ministry of power. 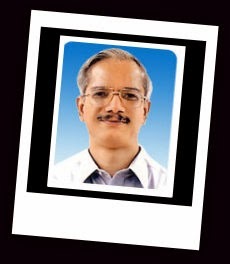 I knew Rajiv Nayan Choubey during his days as Collector of Kanyakumari dist. I was Sub divisional officer phones in his head quarters at the time. I remember him as very approachable unlike some who had followed him. A very shrewd listener, very friendly and modest and dedicated to his duties, it was always with a smile I came out after meeting him or closed the phone after talking to him over phone. He would certainly be a great asset in the PMO. ( I dont know if he remembers my first book of poems I gave him at that time). My congrats and best wishes to him. A very upright, methodological honest and very sincere beaurocrat. During his tenure in DGH, always he was approachable and we felt very comfortable interacting with him. Besides that he is great human being full of humility. I myself gained a lot from him on this front. I worked with Shri R.N. Choubey in his tenure as D.C. Handlooms. A highly intellectual and hard working officer who has took all pains for the weavers community during his tenure in Handlooms. He is a very-2 fine officer with clean records and clear heart. I wish him in his new assignment. May God bless him . Navnit Sharma. He is a seasoned bureaucrat and kind human being. I Know Sri R N Chaubey Sir, when he was in TRAI, work hard to stream line Broadcasting and Cable Services. He dreamed digitalisation by pushing triple (Voice/Video and Data) services thru cable. Now that in Ministry Civil Aviation as secretary he has solved a very important pension issue that remained uncared for years together. He has helped getting their Govt pension retained on absorption in NAA from civil aviation department. But for his sincere approach, this would not have been possible. We owe a lot to him. A great and efficient official.